Fawn Over Baby: Stuck On You Product Review and Giveaway!! My daughter McKenzie turned 10 months this week and it is so exciting to see all the fun new developments that are taking place. From cruising around our furniture to waving and saying "bye-bye"! She is growing up so fast and it's moments like these that I love capturing so that I can look back on them years from now smiling with tears. With that said, I am so thrilled to share my "review" photos of McKenzie's excitement over these fun skill driven, personalized items from a brilliant company called Stuck On You. Stuck On You was created and founded by Australian mommy, Carrie Fulton, as an adorable little label company that has now grown to become an international business. 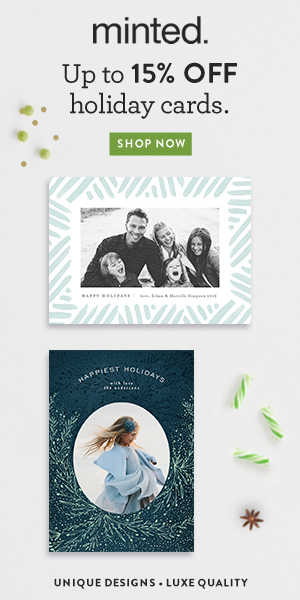 Stuck On You offers children of all ages an adorable selection of kid-friendly labels that are a must for keeping things organized, especially this time of year. Their educational-enriched products are a super cute and fun way to enhance your child's development and improve their management/organizational skills. You might have even spotted a few celebrity children with Stuck On You goodies, seen here and here. Since McKenzie is not quite ready for her own personal backpack or lunch tote, we chose this darling little "Everywhere Friend" teddy bear and a "Personalized Wooden Name Puzzle" to review. 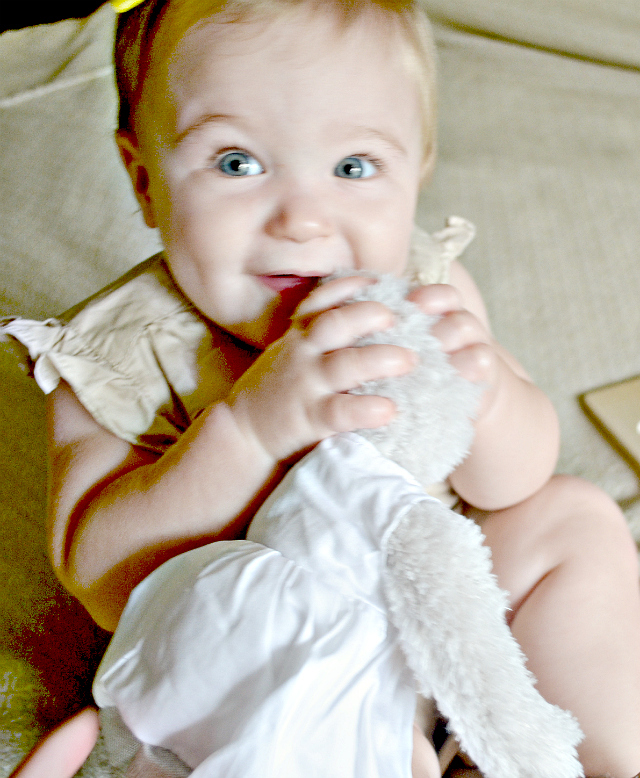 Many articles that I've read go into great lengths on how a teddy bear or stuffed animal can help boost your baby's social skills. This adorable plush teddy bear from Stuck On You's "Everywhere Friend" collection did just that. 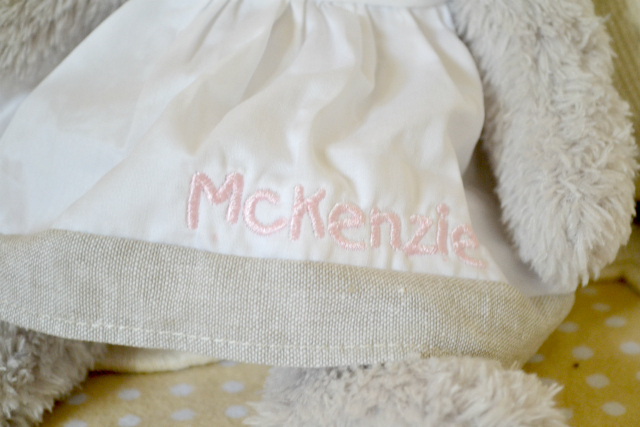 She came complete with an adorable white cotton dress trimmed with natural linen fabric, topped off with McKenzie's name beautifully embroidered along the front hem! It was so wonderful to see McKenzie's eyes light up, accompanied with a huge smile as she was introduced to her very own "McKenzie" teddy bear. 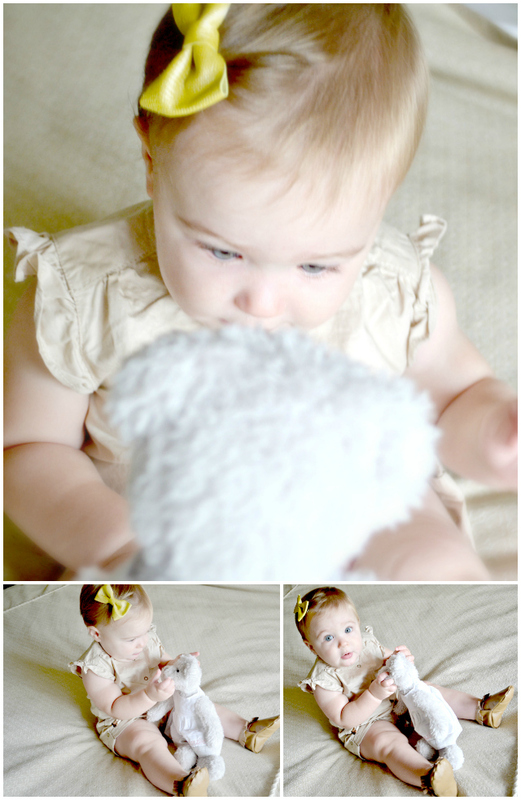 She studied every inch of her new teddy, holding her hands and even gave her "kisses" and several big squeezes! I have a feeling her new plush pal is going to be her perfect little companion for the long haul! Another wonderful Stuck On You product that will help jump start your baby's hand/eye coordination and motor skills is this puzzle! I've read that babies as young as 9 months of age have shown interest in puzzles. Most starter puzzles come as a three piece configuration, however, they are pretty hard to find. 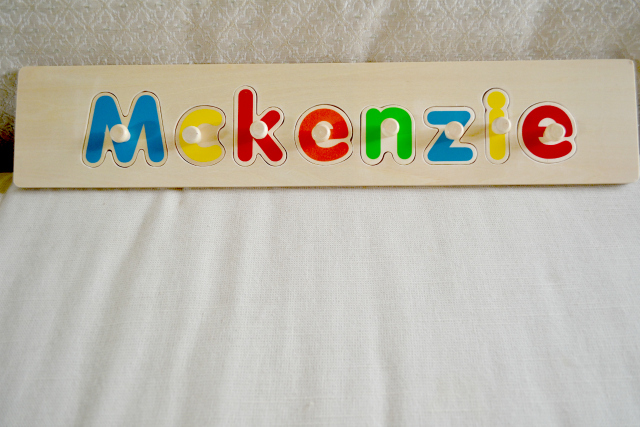 With that said, I couldn't wait to receive this bright and colorful "Personalized Wooden Name Puzzle" from Stuck On You. Although it might be a little advanced for her now, it is a wonderful tool to get her ready for each learning stage in the years to come . Right now, she is amazed by the bright vivid colors and loves picking up each individual piece by the stubby little knobs. I noticed after a while, she attempted to put a piece back on the board. Maybe it was just me imagining it, however, I'm certain there was an attempt that took place, he he! I can't wait to start incorporating this custom made puzzle in her everyday learning, especially when we are practicing the spelling of her name! From letter and shape recognition to matching the pieces with their retrospective spot, this personalized puzzle is the perfect learning tool that will grow with your baby. Stuck On You Would Love To Help You And Your Little Start This School Year Off On The Right Foot! TWO (2) Lucky Fawn Over Baby Readers Will Each Win A $50 Gift Voucher to Stuck On You online! To enter, fill out our lovely widget below with options for extra entries. 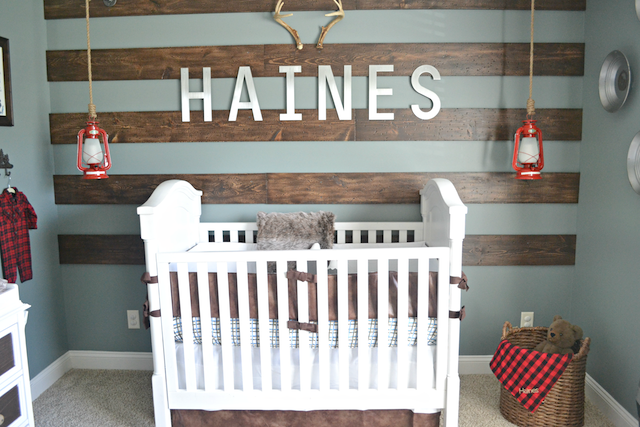 Feel free to share this wonderful giveaway with fellow mommies and daddies! Thanks for hosting a giveaway!! I love that puzzle! Hoping to win the giveaway, but if not, I will probably buy that puzzle for my little guy anyway! He turns one next month! Andrea, your little guy would love it! The colors are so vibrant and the little puzzle knobs make for easy handling! I would give it to my sister as she is due in January and is having a little boy! These are SO cute and she looks adorable! I have to get a puzzle like that for Benjamin! Oh yes! 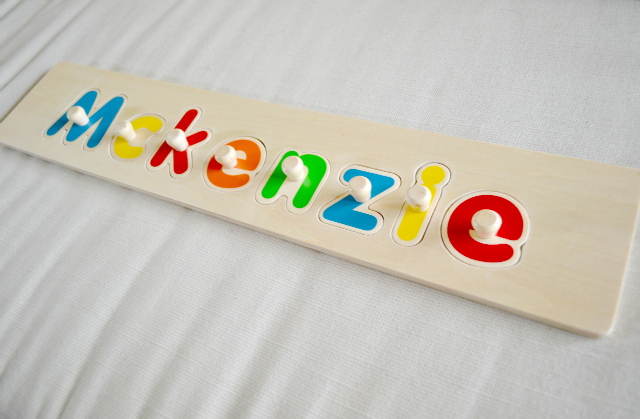 Even at our baby's age, they love picking up the letters and looking at the vibrant colors.